Randy’s Mobile Mechanical Service provides exceptional Concord Nissan NV200 service and repair. We are your one-stop shop for Nissan NV200 Compact Cargo maintenance and service needs. We also offer advanced Nissan diagnostics and repairs. As Nissan NV200 Compact Cargo is becoming a popular workhorse, regular maintenance is necessary to keep your NV200 or your fleet on the road. We provide priority fleet service for Nissan fleet owners. NV200 has been pretty much trouble free – the only widely reported issue has been the problem with tires wearing out prematurely. Other than that, Nissan NV200 should provide problem free service for years to come. Naturally, your Nissan will need regular maintenance to keep it performing at its peak. Whenever you bring your NV200 to Randy’s Mobile Mechanical, we perform complimentary inspection, which gives us a chance to spot impending problems, and you can have them corrected before they deteriorate further. 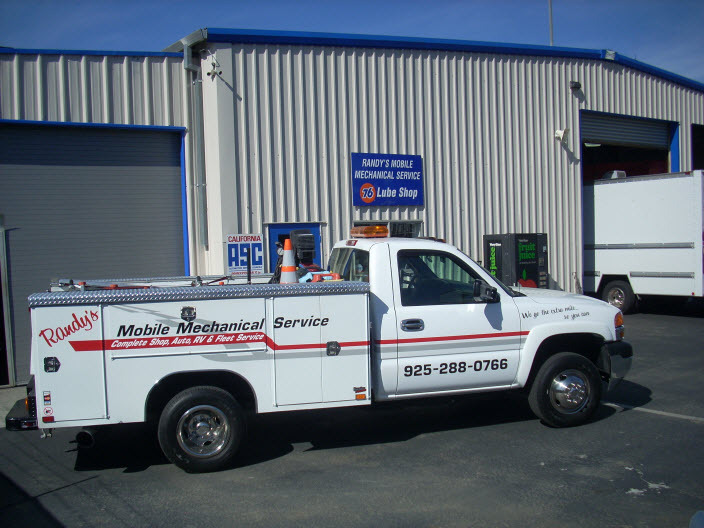 Randy’s Mobile Mechanical is a full service Concord auto repair shop. Randy’s can offer a wide range of services – we can help if your Nissan needs clutch repair, timing belt replacement, AC recharge, electrical system diagnostics, engine misfire, AC system repair, fuel pump replacement, shocks and struts, water pump repair/replacement, radiator replacement, check engine light diagnostics, transmission service, serpentine belt replacement, rough shifting, oil leak repair, sensor diagnostics, CV joints, brake pad replacement, coolant leak repair – this is just a short list of the repairs and services we can provide. Our friendly stuff will be happy to service your Nissan NV200 Compact Cargo, and if during inspection we find things that need to be repaired, we will help you to prioritize those repairs. Give us a call, or set up an appointment online. For trusted Nissan NV200 Service and Repair in Concord and across CA, visit Randy’s Mobile Auto Repair. Call us today or use our convenient online form to book your visit.